The Oregon Employment Department projects that over ten years more than 13,500 jobs in the fields of construction and manufacturing will be available across Washington, Multnomah and Clackamas counties. Yet the pathways to those careers are not always clear — and local career-technical education programs have not recovered from past cuts. Five high schools are currently engaged in the All Hands Raised Partnership’s focused work to build smooth and accessible pathways to careers in construction and manufacturing; strengthen career-technical offerings; and improve the handoffs to post-secondary career training programs. 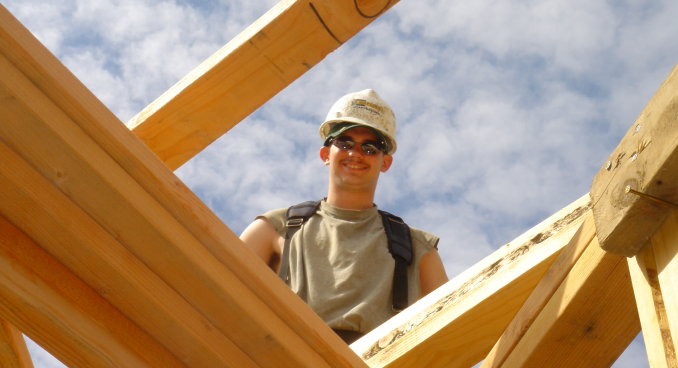 The focus is two-fold: build effective teams at our partner high school communities around common goals, measures and improvement strategies; and implement a community-wide awareness campaign to address stigmas related to these careers head-on – affirming that the trades represent honorable, high-demand and well-paying careers. Reynolds High School increased enrollment in advanced manufacturing and construction courses by 20% in one year of focused work. The team is now building community college and apprenticeship pathways that keep students on track to careers. Centennial High School dramatically accelerated the number of high school students earning community-college level credit in metals manufacturing, growing from two to 29 students in one year – effectively giving students a jump-start on their post-secondary career training. To overcome stigmas attached to careers in the trades – particularly among K-12 educators – All Hands Raised has connected more than 300 local education leaders with hands-on immersion at construction and manufacturing industry sites across the region through Industry for a Day. Learn more about careers, wages and training pathways in the local Manufacturing and Construction industries.